Spacious and relaxing living room. From here you can go directly into the well-equipped kitchen/diner at the rear of the house. Exit to the landscaped garden through a separate lobby which includes its own WC just off it. Upstairs is the spacious master bedroom and equally impressive second bedroom with double sockets and a phone point making it ideal if you'd like a home office. This home is part of the Victoria Place development by Lovell Homes. 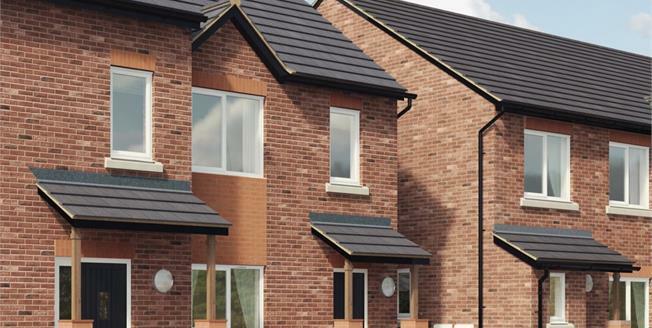 This highly anticipated development is bringing much needed new 2, 3 and 4 bedroom family homes to Tranmere. Close to local amenities on Church Road and with the bright lights of Liverpool just across the plenty of good schools in area, all you need is on your doorstep. Our stylish new homes are designed with modern living in mind, and will fit around your 21st century lifestyle. You will be the first to own your home and you can have the finishing touches personalised to suit your own taste with our "Inspirations" range of extras. We are particularly proud of the superior specification and workmanship every one of our properties offers. All our homes come with a 10 year NHBC warranty to give our purchasers peace of mind. Our new build homes at Victoria Place are eligible for the Help to Buy: Equity Loan scheme. Open to both first time buyers and those looking to move up the property ladder, Help to Buy can help to make the cost of buying a new home more affordable.